Yes, it's that time of the year. Ramps abound. 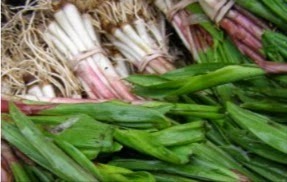 Ramps have been a staple in West Virginia for years. 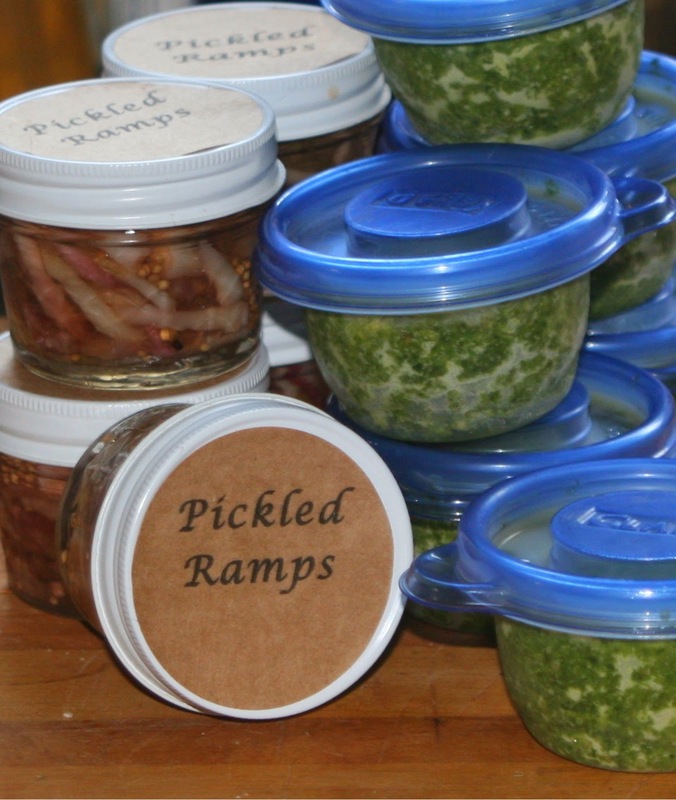 Now it seems that most of the ramps get shipped to New York for trendy chefs. We recently saw a review of Jody Williams' cookbook, Buvette. It contained the following sentence, "The book is packed with classic French cuisine with an occasional New York twist (ramps)." Seriously, when did ramps become the "New York twist?" Like so many things that get appropriated, ramps are now more expensive than drugs in West Virginia, and in New York for that matter. After hours of work, washing and cleaning and pickling and pesto-ing, we ended up with five tiny jars of pickles and a half-dozen, half-cups of pesto. 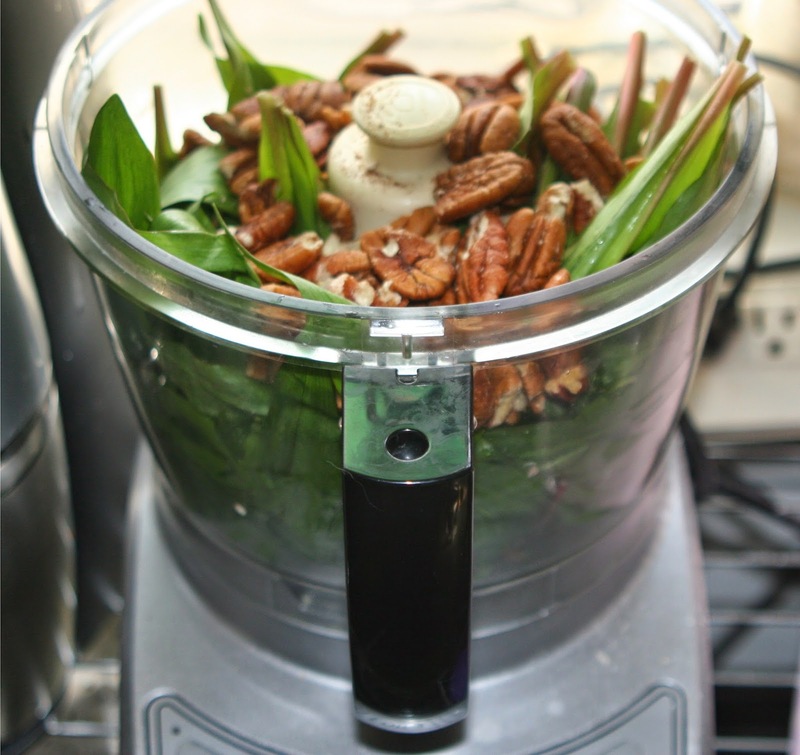 Between the ramps, pecans, and Glad containers, we estimated the cost at $12 a half-cup, not including the 3 hours invested. Still, we feel accomplished. Now if we could get David Chang or Sean Brock to invest in our free-range possum farm (it's the NEW, new white meat)...keep watching Kickstarter!